On The Beautiful Blue Danube, Op. 314, Johann Strauss, Jr. 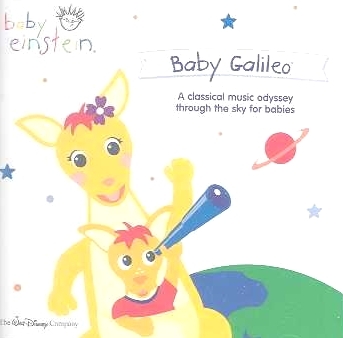 This was the first dvd/cd my son listened to (..and watched we bought both) the music is just GREAT for babies. I also recommend the DVD. The colors and stars/planets just captivates them. This dvd/cd will always have a spot in our hearts because of the way our son responded to it. My wife hears the piano piece Clar De lune from the dvd and cries... tears of joy. Puts our 6-week old daughter to sleep... what more could you ask for!